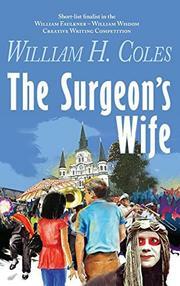 An illicit romance generates a whirlwind of trouble for a seemingly cursed couple in Coles’ (Sister Carrie, 2016, etc.) novel. Mike Boudreaux is the chief of surgery at one of the largest hospitals on the country. His mentor, the eminent Clayton Otherson, becomes increasingly unreliable in the operating room, attracting the anxious attention of his colleagues. Clayton has also become fixated on performing bariatric surgeries for obese patients; these are spectacularly profitable for the department but gratuitously dangerous. Many of Clayton’s peers call for his termination, others defend him on financial grounds, and Mike struggles to walk a delicate line between personal loyalty and professional ethics. However, Clayton finally loses a patient due to his recklessness, essentially ending his career. Irrationally, he blames his misfortune on what he perceives as Mike’s betrayal—a misconception that’s reinforced when Mike and Clayton’s wife, Catherine, fall in love and begin a clandestine affair. Clayton angrily decides to sue to restore his position at the hospital, using Mike’s involvement with his wife as evidence of personal bias. Catherine loses nearly everything, including her seat on the board of the local Historical Society, and her teenage daughter disappears. Michael and Catherine fight to maintain their relationship, but the strain of the divorce, and the scornful disapprobation of the public, may tear them apart. Coles artfully limns the tension between personal and professional obligations and the crushing demands that prominent careers can make on private lives. However, although Catherine’s disenchantment with her marriage makes perfect sense, her pronouncement of love for Mike seems to come out of nowhere; it seems as ungrounded as adolescent infatuation. Mike’s emotional reciprocity is equally confusing. The author builds the drama toward an explosive crescendo that’s both surprising and thrilling—but it’s also one that also makes the love between Mike and Catherine seem even more implausible. Still, Clayton’s professional downfall is expertly rendered even if the love affair, upon which the story hinges, isn’t nearly as persuasive. A solid medical drama upended by an unsteady romantic plotline.